Showing results by narrator "Gary L. Stewart"
Soon after his birthmother contacted him for the first time at the age of thirty-nine, adoptee Gary L. Stewart decided to search for his biological father. His quest would lead him to a horrifying truth and force him to reconsider everything he thought he knew about himself and his world. 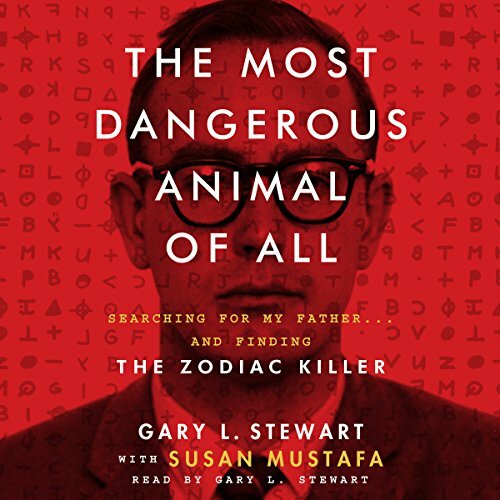 Written with award-winning author and journalist Susan Mustafa, The Most Dangerous Animal of All tells the story of Stewart’s decade-long hunt. While combing through government records and news reports and tracking down relatives and friends, Stewart turns up a host of clues—including forensic evidence—that conclusively identify his father as the Zodiac Killer, one of the most notorious and elusive serial murderers in history.